HOL Ravenclaw • View topic - What classes is everyone taking? Hello. The start of term, one of the best times in HOL with so many fun and interesting classes to take. I managed to narrow it down to 7. 2. Advanced Care of Magical Creatures- Signed up. What classes is everyone planning on taking this term? Re: What classes is everyone taking? 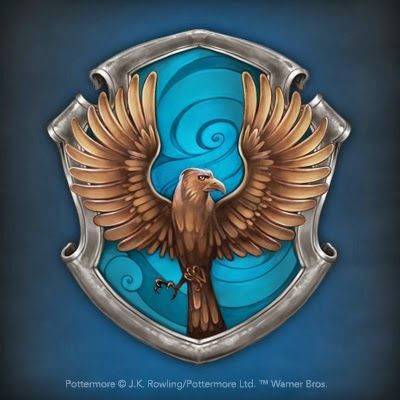 Both Quidditch - The Wizarding Way and Advanced Care of Magical Creatures are both great classes! I took Advanced class a few years ago and I really did enjoy that class! I'm currently taking the year long class Norse Myths and Legends. The classes available this term are great but sadly I've already taken most of them before. Seven years of classes...I can't believe this is my last term as a student. Maxim, I took Survival last term. It was a really good class. Yes, i can see how after 7 years of classes, there wouldn't be as many classes to take that you haven't taken before. And the 5th class is still undecided. Survival was a lot of fun Maxim, you'll like it. As was Fantastic Worlds. I took that class a few years ago. If you're looking for a fifth class Alex might I suggest Maxim's Treasure Hunt? It was quite fun. Or Magical Greek Mythology if you like mythologies. Puzzles 101 was also fun, though that depends if you like puzzles. Potions for Beginners was also enjoyable. In truth I've liked pretty much all classes I've taken on HOL. You really can't go wrong. It took me a long time to make up my mind - so many great classes being offered! But I've finally decided on this list: Magical Greek Mythology, Gobbledegook, Fantastic Worlds and Where to Find Them, The Her in Hero and Word Magic. I am particularly excited to finally get to take the Her in Hero: I already spotted it last term, but simply couldn't manage to fit it into the roster, and I'd promised myself to make room for it this term and now I have! And thank you for recommending it! It was so hard to narrow down my choices to just 5! I love the variety of classes offered at HOL and I am so excited to learn something new with each and every class. This term, I am continuing my Norse mythology class and I have decided to take Typography Basics, Shakespeare: An Introduction, Chinese Festivals, and Wand-Making. I also did the Norse Mythology class offered here on HOL, and it is indeed great! It's well written and very informative as well as offering fun homework to do. I can absolutely recommend this class to anyone who might be interested in mythology. I already knew a lot about Norse Mythology, and I still learned something in this class that I either didn't know before, or had forgotten about. It is a full year class and I don't know if students are accepted for the spring term only, and at any rate, you'd miss half of it, so I might recommend starting it at the fall term, but other than that I only have good things to say about that class. Hello everyone!! Just a fellow ssssnake coming to say hello and chat. The classes I signed up for this term is Puzzles 101 (which I already finished ), HOL 101, A Visit to Diagon Alley, History of Hogwarts: The Castle, and Charms! What is everyone else taking this year? Wow Khaleesia that's really impressive already being done with one class. I took puzzles too before and it was really great so I do understand though how you could run through it and not wanna stop. This term I am taking: Confronting your Boggart, Occlumency, Societies in Ruin, The Hobbit, and Magic of Forensic Science. I took HOL 101 before, but it has gotten a major overhaul since then, so it might well be rather different now than it was when I took it. Either way, it's an awesome class to take when you are still rather new around HOL: it really gives you a great guided tour of the site and makes it a lot easier to find your way around. Congrats on completing a class already Khaleesia, and welcome to the Roost! I think all the classes you're taking I've taken before at some point except History of Hogwarts. I remember liking them a lot. I'll have to check that one out though if it is offered again next term. Same thing with yours Gail. We're classmates for Confronting Your Boggart and Societies in Ruin. I took Occlumency and The Hobbit last term. I think I might look into Magic of Forensic Science for next term, too. Let me know if you enjoy it or not. Besides the two mentioned above, I am also taking Ancient Alchemy, HOL Genetics, and Philosophy in Harry Potter. Genetics should be simple because my major involves that, and I'm currently in a muggle university course titled Molecular Biology and Genetics. And the Philosophy course, Kendra has been talking about it for ages, so I had no choice but to sign up this term since I was very excited about it when she first mentioned it. I've not completed any coursework yet since I've been busy with RL classes, but I think I'm going to enjoy the classes I picked. I will definitely let you know what I thought of it when next term comes. I also really had my eyes on philosophy cause I love that subject, but I felt fairly confident that it would be offered again next term, so it got pushed to then. Now I just hope I am right in that.